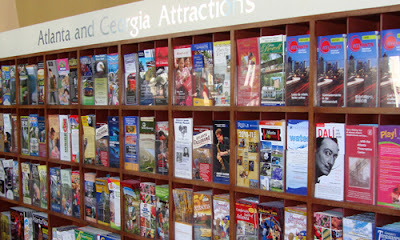 The Atlanta Visitor Center, part of the Atlanta Convention & Visitors Bureau, is a treasure trove of information about places to visit in Atlanta (and Georgia too!). The Visitor Center also houses Atlanta's same-day-half-price tickets, AtlanTIX, and a fantastic city tour via ATL-Cruzers. Located adjacent to Underground Atlanta, it's easy to get to or if you're not in the downtown area, there's lots of information on their website.